While buying a new car may be an attractive idea, there are a lot of disadvantages that come with it. People who spend tons of money on a new car are actually setting themselves up for a lot of disappointment a few years down the road. While people may feel prestigious in a new car, they are actually a lot wiser in a used car. There are sources that say that the value of your car will decrease by 54% within three years. Therefore, you are not only spending a ton of money trying to pay it off, but you are also only going to be able to regain half of the money if you decide to sell it. With a used car, you are actually saving money with an item as long as it is in good condition. You can check vehicles with Carfax and AutoCheck. 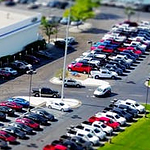 We have plenty of low priced, but high value vehicles at Philpott Pre-Owned Super Center. Visit us and take one for a test drive.